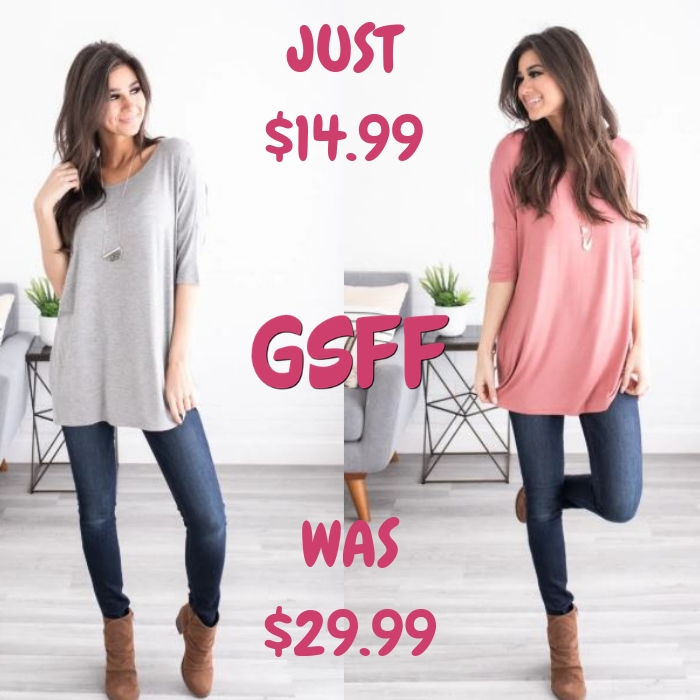 You are here: Home / Great Deals / Elbow Tunic Just $14.99! Down From $30! Shipped! This deal expires today, February 20! Jane is offering this Essential Elbow Tunic for just $14.99 down from $29.99 PLUS FREE shipping! We love the simple style of this tunic featuring elbow length sleeves, a beautiful scoop neckline, and a stunning slimming fit. This tunic pairs perfectly with destructed skinny jeans and your favorite pair of comfortable shoes! You’re gonna love it too!